Grant Recipient: Hyslop Foundation, Inc.
Hyslop Foundation / Hawthorn Hollow ($75,000)Hawthorn Hollow Nature Sanctuary and Arboretum will use this $75,000 award to restore three and a half acres of wetland on the South Branch of the Pike River. The South Branch of the Pike River is listed as impaired, and the Pike River Watershed Plan describes the ravines on this site as in critical need of restoration. This funding will therefore support both the planning of the site, as well as the implementation of those plans next year. 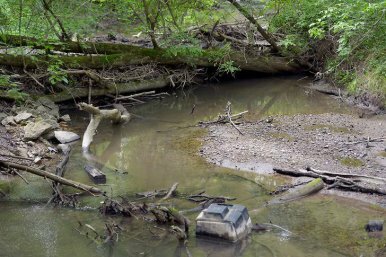 Restoration activities will ultimately increase the area’s stormwater capacity and reduce the erosion in the ravines that feed into Pike River.